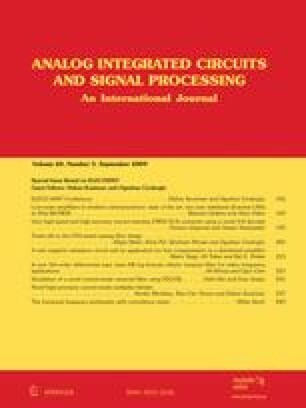 This paper presents a new negative resistance (NR) circuit which is designed especially to compensate the losses inherent in conventional distributed amplifiers (CDA). The consequence of the new NR circuit in the CDA is significant improvement of bandwidth (~15%) with no degradation in gain. In addition, the simplicity of the NR circuit makes it amenable to MMIC technology and moreover for broadband applications. Yates-Fish, N. L. (1936). A negative-resistance oscillator. Proceedings of the Physical Society, 48, 125–134. doi: 10.1088/0959-5309/48/1/318.